- TimeOut critic Oliver Sava won Chicago Theatre Off Book&apos;s prize of an entire episode dedicated to whatever theater company he wanted. Sava chose Strangetree Group, so this week&apos;s episode is all about them, with guests like Emily Schwartz, the playwright of their latest production Funeral Wedding: The Alvin Play, as well as director Jess McLeod and other members of the cast and crew. 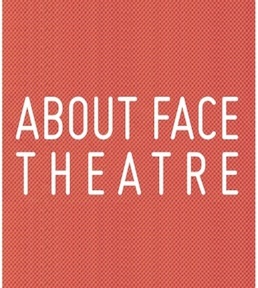 - About Face Theatre Company&apos;s Board of Directors announced Thursday that Artistic Director Bonnie Metzgar would be leaving at the end of their 2012-13 season. Metzgar directed acclaimed productions such as The Homosexuals by Philip Dawkins, and will direct the still-unnamed About Face production with Victory Gardens. "I came to About Face with three goals—to create financial stability in uncertain economic times, build a vibrant core of Artistic Associates and lead the organization through a strategic plan to develop a 3-5 year vision for the company. I am so proud that during my tenure at the helm of this important artistic institution that I accomplished these goals,” said Metzgar in a statement," with About Face thanking her for her leadership and time. They plan to conduct a national search for her replacement; the job description says they&apos;re looking for someone who "who will be responsible for conceiving, developing, and implementing the artistic vision and focus for About Face Theatre’s season of productions and educational programming." - The world seemed to notice that Barbara Streisand was at Sweet Bird on Thursday, with Diane Lane back onstage after her laryngitis. Streisand is in town for her performance Friday evening at the United Center; the Sun-Times reminds us that Streisand is sort-of Lane&apos;s stepmother-in-law, because she&apos;s married to James Brolin, and Lane is married to James&apos; son Josh.